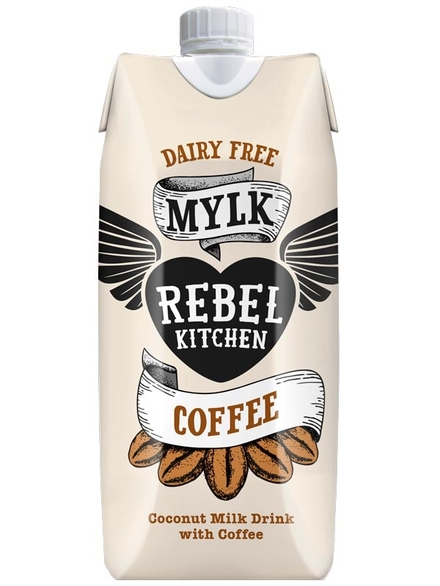 Coffee Coconut Mylk 330ml (Rebel Kitchen) - HealthySupplies.co.uk. Buy Online. An awakening coffee and coconut mylk drink blend. No added sugar, preservatives or additives. Simple ingredients, straight from nature. Spring water, coconut mylk (11%), organic date nectar, coffee.